Event Description Join us for a fun-filled morning of Bingo! All winners receive book prizes. Ages 18+. RSVP today. 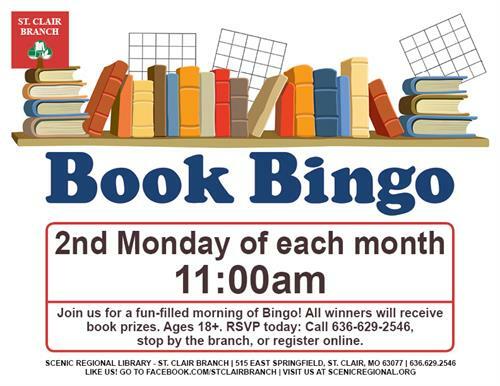 Call 636.629.2546, stop by the branch, or register online.